Dr Delman, New York Workers Compensation Doctor, has offices in NYC, NY and Brooklyn, NY. 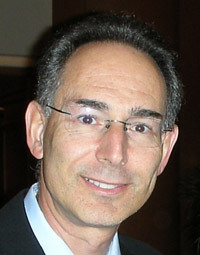 Dr. Delman graduated in 1985 from the Sackler School of Medicine, in Tel Aviv, Israel. He completed his Residency in Internal Medicine at Stony Brook University Hospital in New York. Dr. Delman is board certified in both Internal Medicine and Emergency Medicine and is a member of the American Academy of Pain Management. He has 15 years of experience as an emergency department physician and has diagnosed and treated thousands of trauma patients during both the acute phase and rehabilitation phase of their injuries. With more than two decades of medical experience in acute and chronic patient care, Dr. Delman and his staff of Physiatrists and Physical Therapists treat a wide variety of injuries. His unique background benefits his patients by going beyond the traditional evaluations of the musculoskeletal system. Patient Testimonial: Patient Paul D.
A workplace injury can be very stressful and can not only effect ones health,finances but family homelife as well. Dr. Delman offers orthopedic care and rehabilitation for employees hurt on the job.The goal is not only to heal our clients but get them back to work. Dr. Delman understands the workers compensation system and can provide all the information a patient needs to file his or her claim.